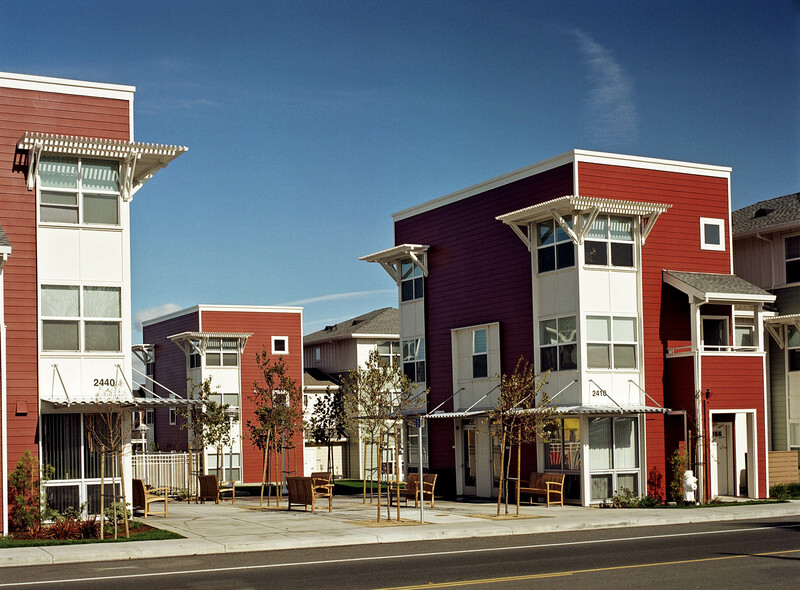 Bella Monte Apartments consist of 52 multifamily affordable units on 2.18 acres with an interconnected, pedestrian-focused internal street system. 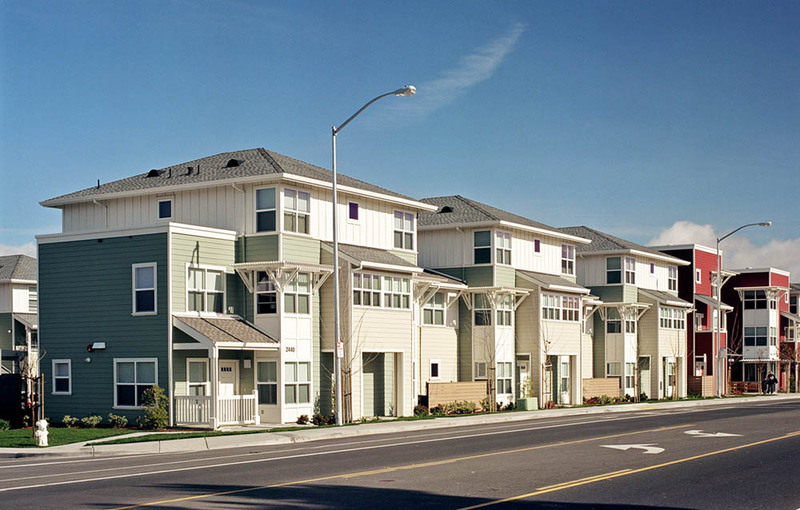 Four buildings present a rhythm of two and three-story bays with bedroom townhouses on upper floors above ground floor flats. 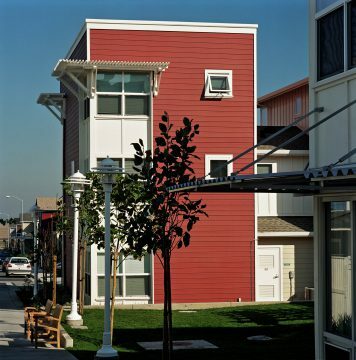 Three story towers with high quality exterior finishes highlight the plaza end of each building. 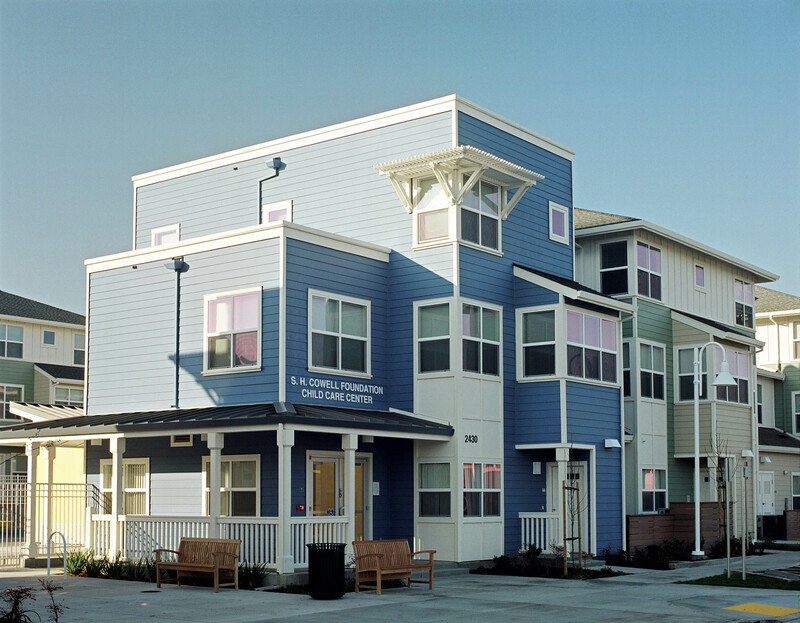 Site amenities include a childcare center, a community room, and a laundry room. Bella Monte Apartments was made possible with funding from Contra Costa County, US Bank, California Housing and Community Development’s Multifamily Housing Program, and the Federal Home Loan Bank’s Affordable Housing Program. 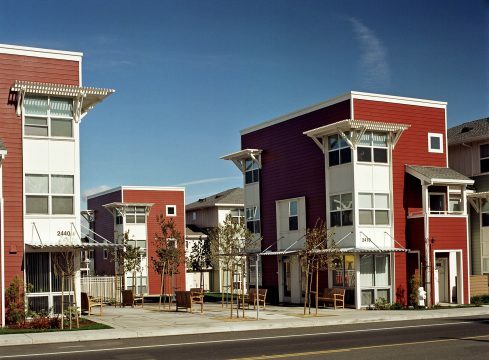 A family-oriented, affordable community focused around onsite childcare, enclosed play area, and indoor and outdoor community space. 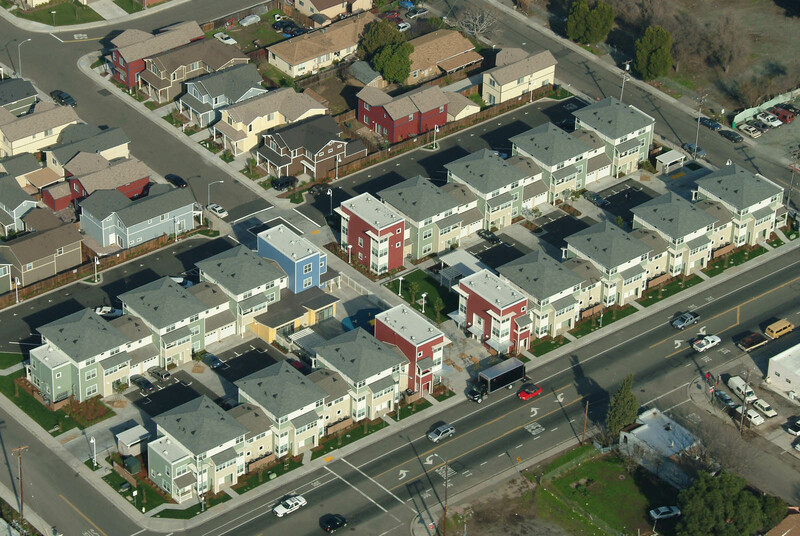 Develop a 9-acre parcel serving 118 single and multifamily units with an interconnected, pedestrian-focused internal street system.